Membership Thinking of joining a golf club? 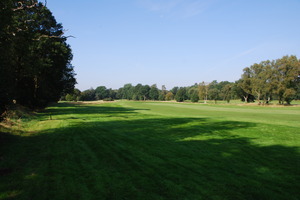 Blackmoor Golf Club prides itself on a very warm welcome and friendly atmoshpere, where members are able to enjoy the benefits of playing one of Hampshire's premier courses. Membership is available in all categories, listed below. We welcome the beginner and the seasoned golfer and are determined to make the experience of joining Blackmoor as straight forward as possible. Our General Manager, Simon Burton, will be delighted to discuss the option that is right for you, call him on 01420 472775 for an initial discussion and arrange to come along and view our wonderful course and facilities. A pathway programme for those wanting to start golf. Beginning with a free "taster" session, progressing through group lessons onto a mentor programme where you will receive personal support and guidance. Call the office on 01420 472775 for more details. * The Club's Welfare Officer: Mr Michael Cave can be contacted through the office on 01420 472775.